It is hard to believe that it is December 9th today! and it is starting to look like Christmas around our home. Yesterday I tossed around the idea of making some handmade Christmas cards. for Destiny while she was at school. Pinterest in the last few weeks. Everything is on Pinterest. Don't you agree? I love Pinterest. 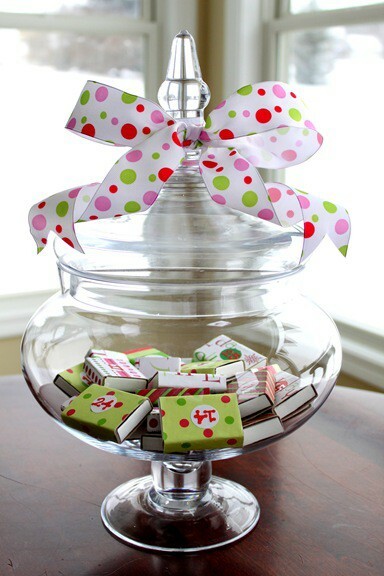 I went out and picked up a few yummy trinkets and candies to fill the tin. and she will start opening the gifts next week on the thirteenth. I can’t wait to see the excitement in her eyes when she opens the first gift. that I found on some blogs that I follow. Be sure to check out their blogs when you link over and hang out for a while. 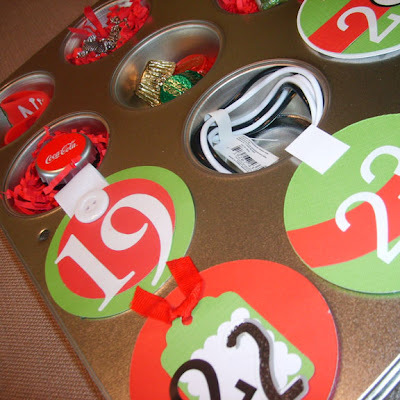 Check out Chris’s version of advent calendar at Just A Girl. She created the calendar using mini matchboxes. made from old TP tubes. 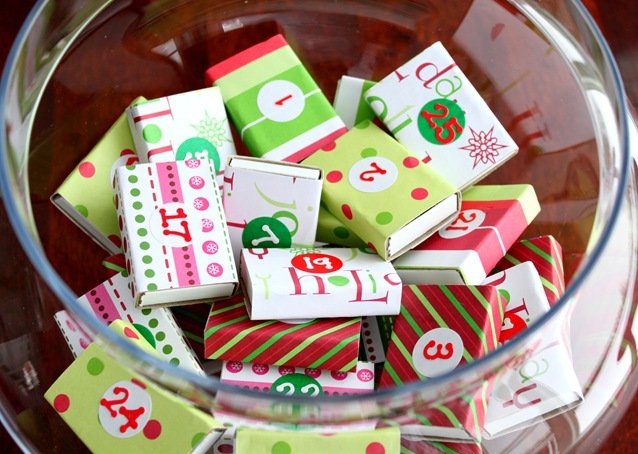 So clever, check out Maya’s Tutorial on her blog at Maya Made. 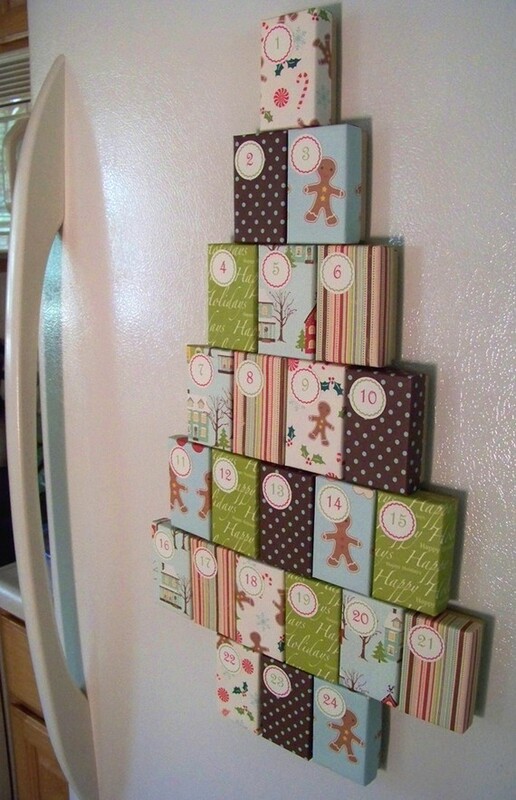 If your not up to making a advent calendar? You can buy one on Etsy at Polka Stripe Studio. Erin has a awesome store filled with all kinds of handmade goodies. Do you have a advent calendar? Aren't they all clever & gorgeous & fun. wow ! those are amazing ! 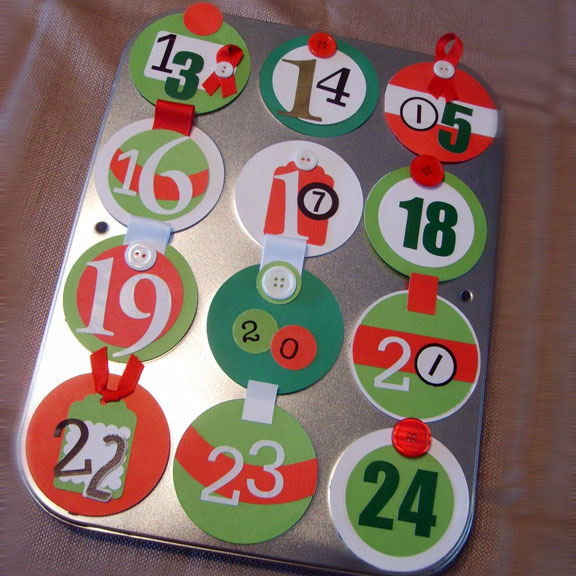 i love advent calendars ! 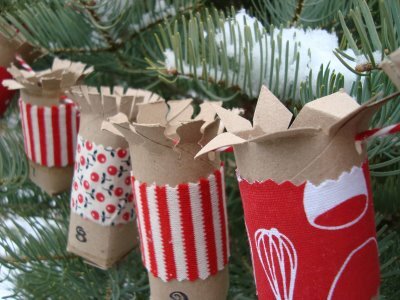 i may have to try one of these ideas next year ! these are great ideas!!!! i'll have to keep them in mind for next year. we didn't make one this year because the boys were each given one.